How do you design an experience for technology that doesn't exist? Join us as we discuss the impact of emerging technology on design processes, and demo IBM's latest quantum products. Quantum computers are really complex, but they shouldn't be complex to use. At the intersection of emerging technology and human-centered design, the Emerging Technology team at IBM Research works to bring science out of the lab and into the world. From an app game to a free tool for running experiments on a quantum computer via the Cloud, we are passionate about building inclusive and intuitive solutions for experts and beginners alike – and we have learned a lot along the way. Join us as at the IBM Design Studio for a discussion about how to design solutions for technology that doesn't exist. Our 30-minute panel – representing research and design – will discuss how we navigate the evolution of our respective roles and processes. Following our panel, we invite you to dive into our products! 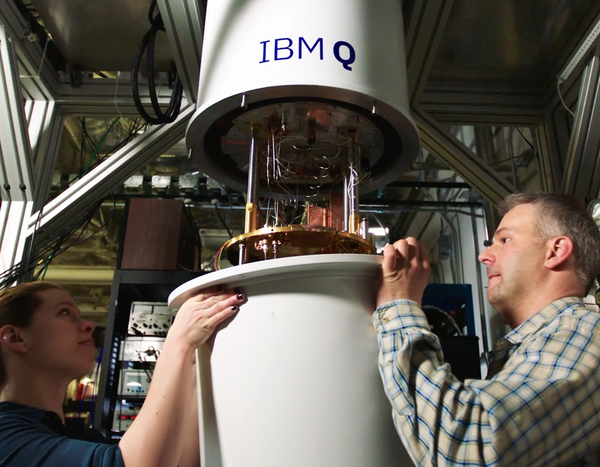 Build quantum experiments on IBM's Quantum Composer (a graphic user interface that simplifies the programming process for Quantum computers), play a game to learn the basic building blocks of quantum computing, and take a virtual tour of our Quantum labs. We hope to inspire you with what's possible!